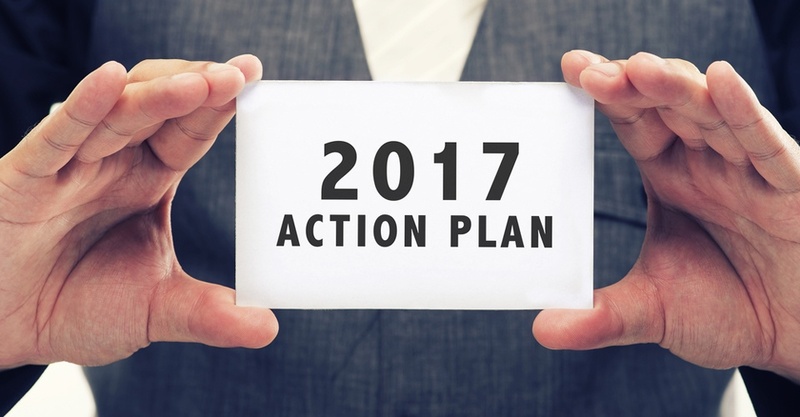 Diet fads and gym memberships come and go, but a resolution for a safer 2017 for you, your family, and your workplace can yield big returns for the whole year. Here are just a few best practices and resources to get you started. When caring for someone, a provider can be exposed to blood or other potentially infectious body fluids. Reducing exposure lowers the chance of infection. “Universal Precautions” is an approach that recommends handling all blood and other body substances as if they are infectious. Disposable gloves are the most commonly used barrier. Make sure there is always a fresh supply of gloves in your first aid kit. Inspect gloves for damage or tears when putting them on. If damaged, replace them immediately. Natural rubber latex allergy is a serious medical problem. Anyone who uses latex gloves frequently is at risk for developing it. Latex glove users can develop allergic reactions such as skin rashes; hives; nasal, eye, or sinus symptoms; asthma; and possibly shock. Simple measures such as the use of non-powdered latex gloves or non-latex alternatives can stop the development of latex allergy and new cases of sensitization. If a person requires rescue breaths, use a shield or CPR mask with a one-way valve to minimize direct mouth-to-mouth contact. A face shield can prevent mouth, nose, and eye exposure when there is a possibility of splashing or spraying. Ready to take that emergency care training class? You can find an ASHI or MEDIC First Aid Training Center here. The emergency experts at ready.gov offer a number of downloadable communication plans to help you get your family members the information they need to stay safe and stay together during an emergency. Make sure all household members are able to get alerts about an emergency from local officials. Check with your local emergency management agency to see what is available in your area, and learn more about alerts by visiting: ready.gov/alerts. Discuss family/household plans for disasters that may affect your area and plan where to go. Plan together in advance so that everyone in the household understands where to go during a different type of disaster like a hurricane, tornado, or wildfire. Collect information. Create a paper copy of the contact information for your family that includes phone numbers (work, cell, office), email, social media, medical facilities, doctors, service providers, school. Have regular household meetings to review your emergency plans and then practice, just like you would a fire drill. You can download your plan template here. For most of us, our exposure to safety training and topics comes through our workplace. But that training only works when we apply it in our daily tasks. This month, take a moment to revisit the tools and resources available to keep yourself safe when on the clock throughout the year. Always use the proper glove for the job, and make sure it is appropriate for the specific hazard. Consult the safety data sheet to determine which glove type is best before you begin working with a chemical. Before operating your equipment or tool, perform a hazard analysis of the work area. Make sure all guards are in place and are in proper working order. All unnecessary tools, material, and scrap should be removed from your work area. Inspect your footwear daily. Before putting on safety boots, check them over for cuts, cracks, or holes, and look for separation between the upper part of the boot and the sole. Make sure straps, buckles, and laces are in good condition, and replace them if they are not. Turn the shoes over and inspect the soles for pieces of metal or other embedded material that could cause a trip hazard or make the wearer vulnerable to a dangerous electrical exposure. Nonskid soles should be checked for tread wear. Keep your safety glasses and other eye protection equipment clean to improve visibility. Wash it regularly with mild soap and water or eyeglass cleaner. Polish with a soft cloth or tissue. Store your protective equipment carefully to avoid damage when not in use. Any damage to lenses or shields can lessen the impact-resistance and result in inadequate protection. Safety Pros: Summit Training Source offers an extensive library of training courses to help keep workers safe on the job and your company in compliance. Click here to learn more about Summit Connect, an interactive online subscription solution for your training needs. Make 2017 the safest year yet!